Shanghai style food found in the heart of the new high rise suburbs around Wolli Creek. 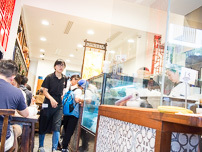 Shanghai Fried Dumpling is stuffed inside a supermarket shopfront, but bursts with the slightly sweet flavours of its namesake town. 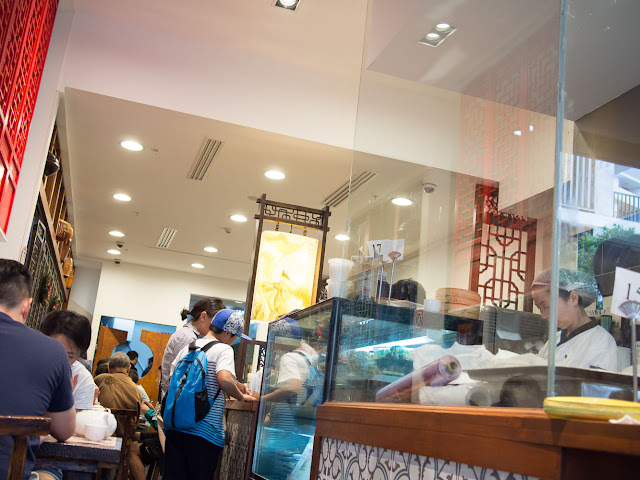 We like to wander around Sydney's new high-rise villages to sniff out food and look at the changed urban landscape. 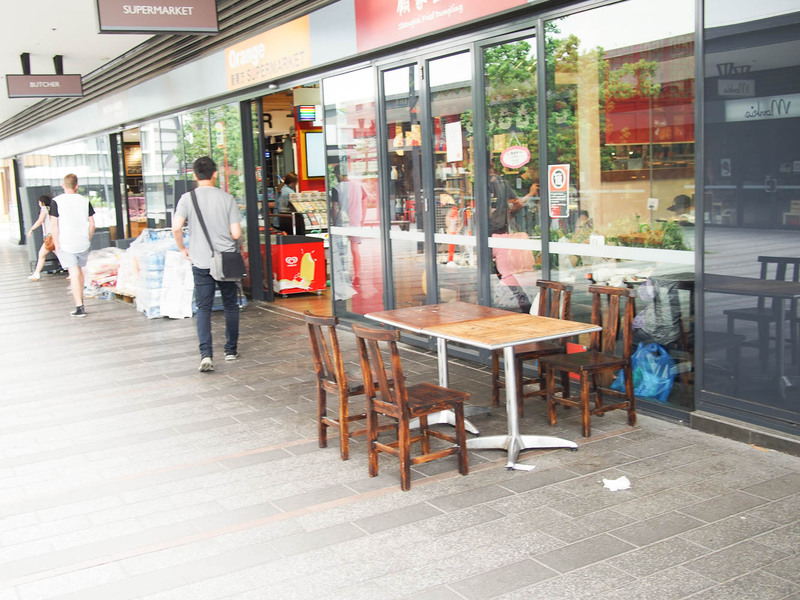 There are new pickings to be had in the Discovery Point area around Wolli Creek train station, the intersection of the southern beaches and airport south western lines. Inside is squishy'n'fun during the Sunday lunch rush. The door to get in isn't from the arcade, it leads in from the Orange supermarket. You might still have to wait for a table even later on a Sunday afternoon, this place is a popular one. 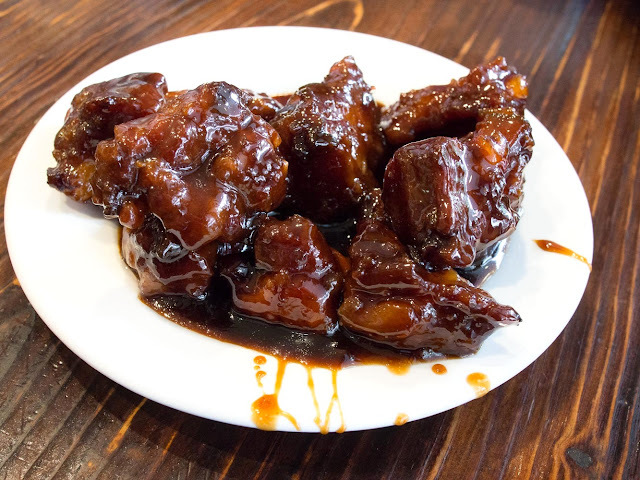 Brown, messy and undeniably sweet and tasty, rock sugar and black vinegar short ribs ($6.90) are a favourite side dish for us. These are made with soft bone cartilage pork, the crunch on the 'bone' is a textural satisfaction. Note the careful plating. We keep on the brown theme with wheat gluten and black mushroom with sweetened soy ($6.80). 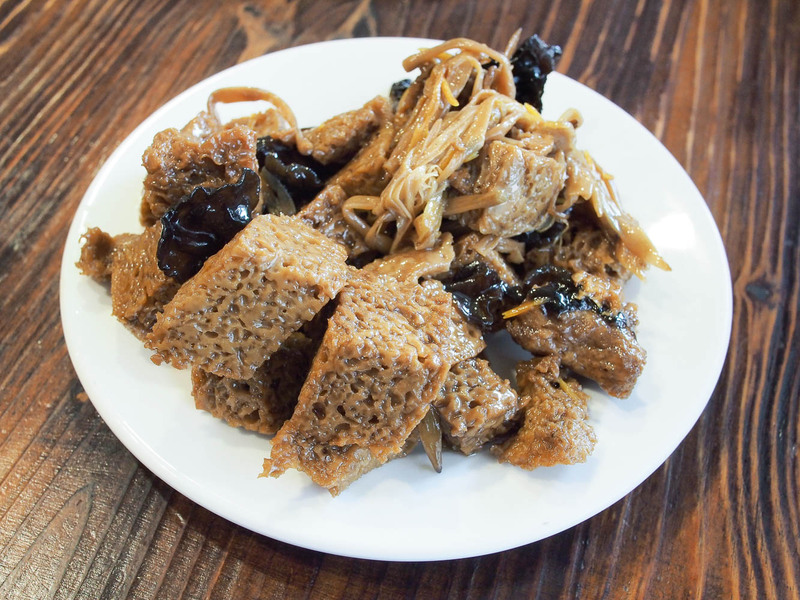 The spongey gluten soaks up the sweet sauce, while the rubbery mushrooms add balance. There was a pile of enoki mushrooms in there as well. Chicken with chilli and Sichuan pepper ($16.80). 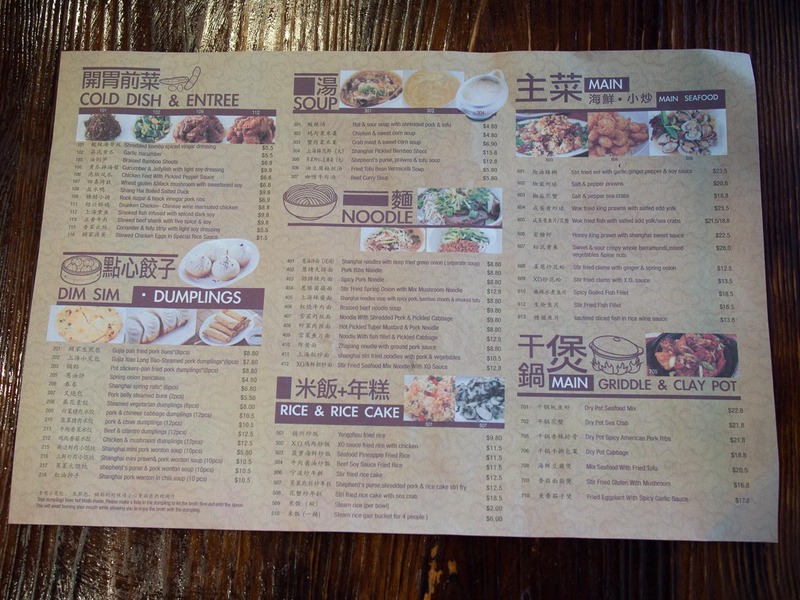 We are still hankering for the taste of Chengdu after our recent China trip. The chicken pieces were deep fried, with slices of onion and celery for contrast. 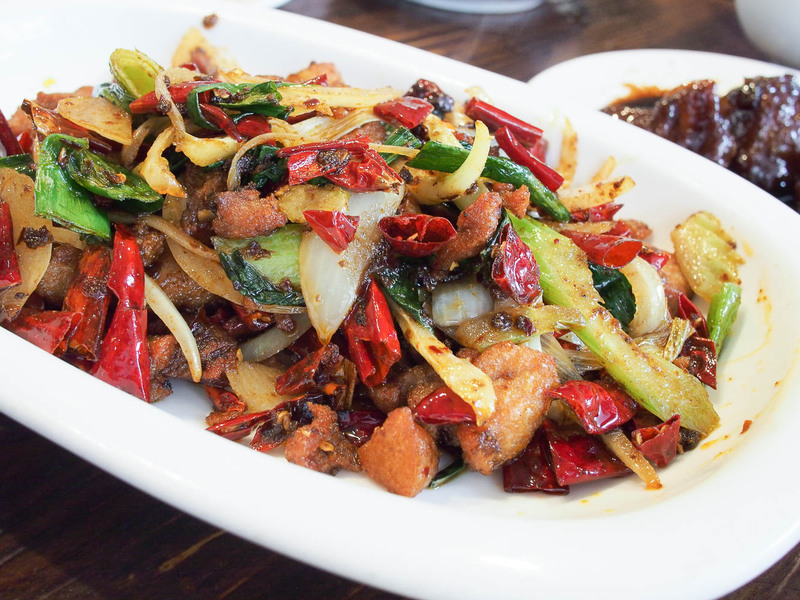 Spicy chilli in bright red piles and tongue numbing pepper catching you off guard. It's a lazy lunch where you can sit and pick out all the tasty morsels, digging through the piles of chilli. We would have liked more pepper, our tolerance has increased greatly. 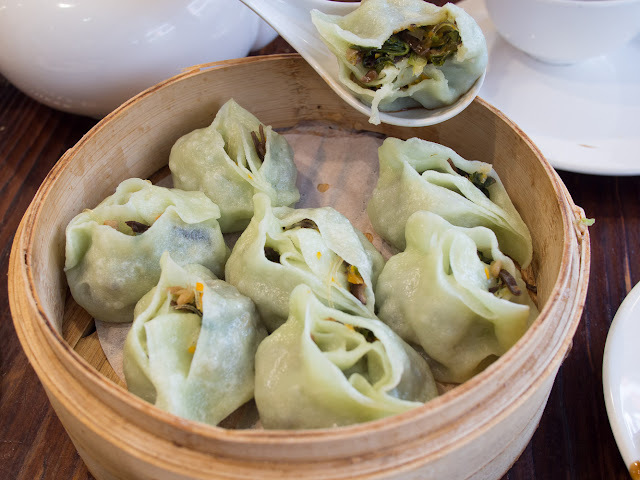 Off the dumpling menu are these steamed vegetarian dumplings (8 for $8). The wrappers are slightly green, while the insides are filled with spinach, brown fungus and shredded carrot. They needed a small sprinkle of vinegar as the tops were a little dry, while a dab from the chilli paste pot helped the flavour along. 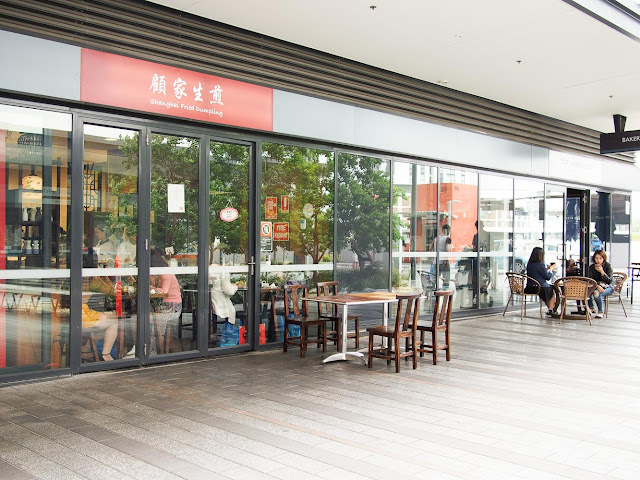 Shanghai Fried Dumpling is at Shop 6, 6 Discovery Point Place, Wolli Creek. 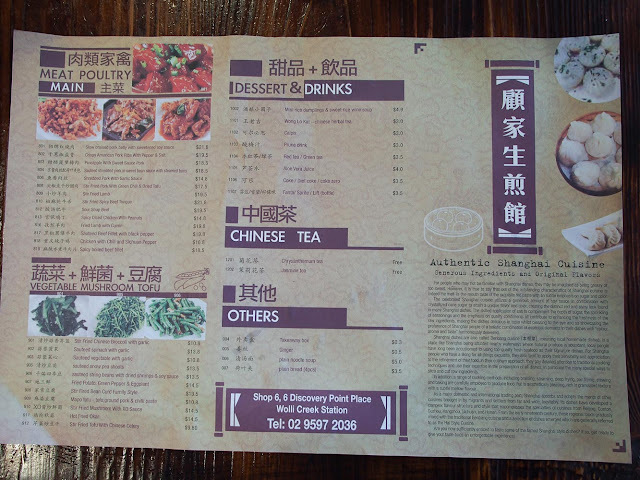 Phone 9597 2036.
the enoki mushroom looking thing in the wheat gluten dish is actually dried daylily or 黄花菜 as we know it in chinese, always a pleasure to read your blog !! !